A photograph of the Twin Flight Locks 4, 5 & 6 on the Welland Ship Canal (Fourth), St. Catharines & Thorold, Ontario. 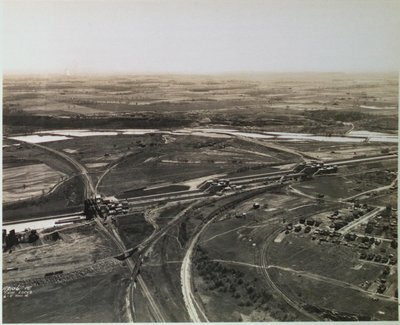 April 1930. The Third Welland Canal can be seen behind the flight locks.